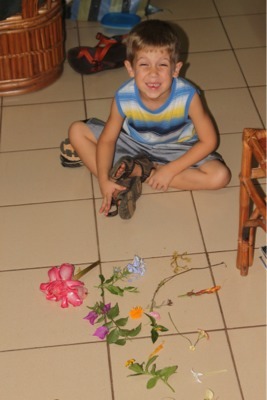 Caleb had to collect as many flowers as possible for class. 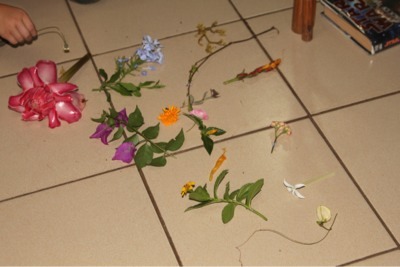 It was fun, we went outside and started picking flowers. 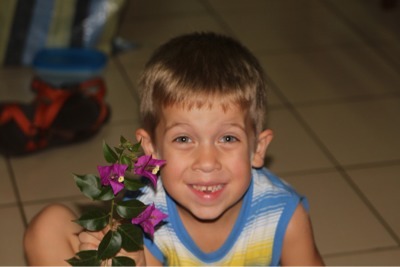 Some grew on vines, stems, bushes and even trees. We actually had to get out a knife to cut a few!